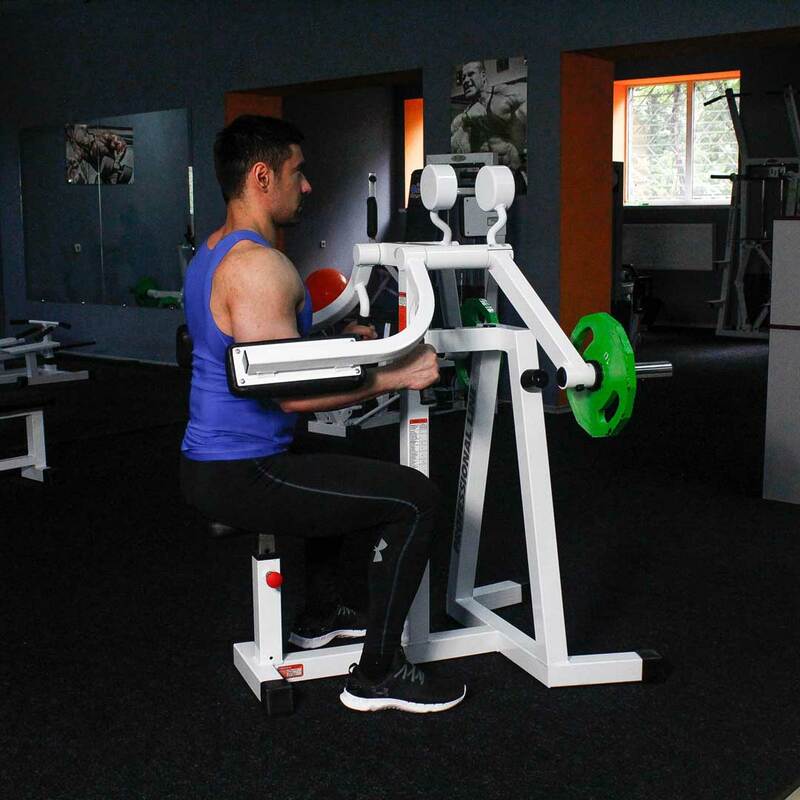 Sit on the machine, rest the arms on pads and grasp the handles. This is your starting position. Raise the elbows as you exhale. Raise them until your arms are parallel to the floor.